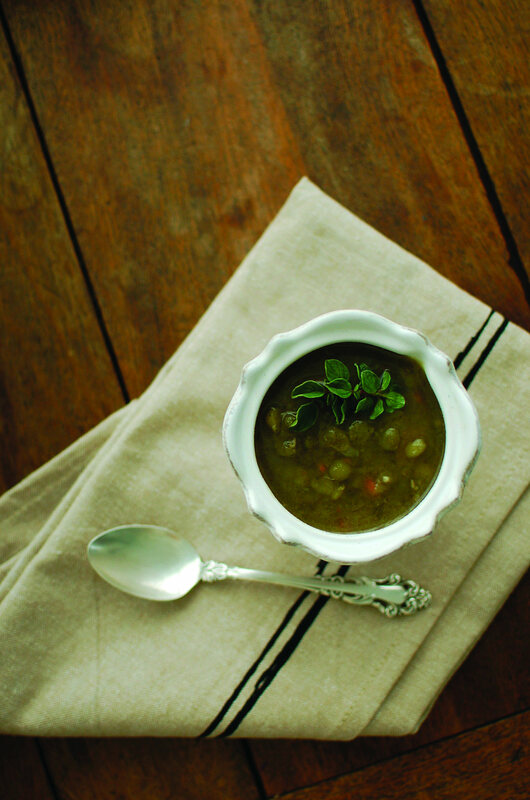 Split pea soup: you probably either love it or hate it. 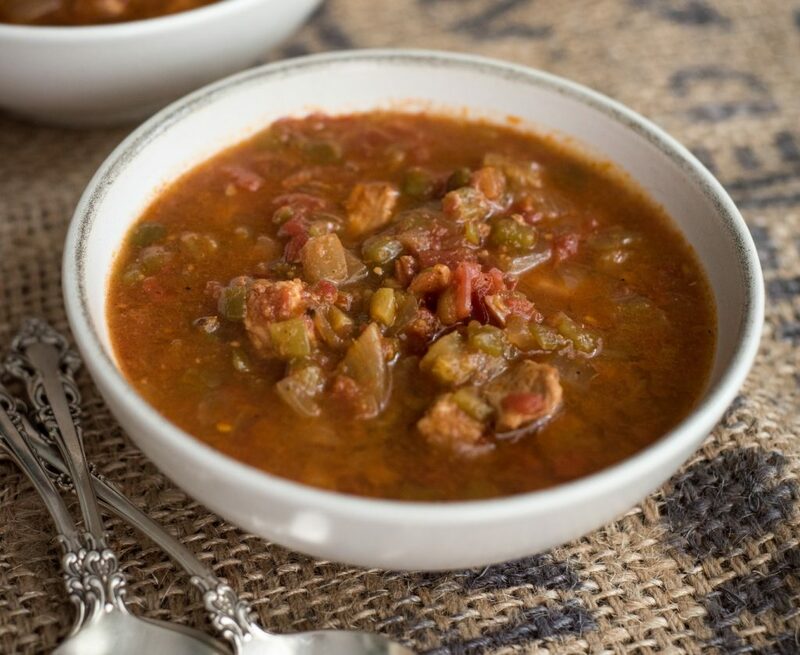 Even if you find yourself in the second camp, you may want to give this hearty recipe a try. Apples, ham, whole allspice berries and red wine make this a split pea soup that defies all categories. Anne’s soup has been a favorite during retreats held at the People of Praise growth center in South Bend. “I serve it with bread—something crusty and hearty,” she says; “and I prepare it a day ahead, then reheat it.” Those in search of meatless meals during the Lenten season can omit the ham or substitute vegetable broth for the chicken broth, if desired. 1. Heat the oil in a large stockpot over medium heat. Add the onions and sautée until soft. Add the ham, celery, carrots, and garlic and stir for another minute. Stir in the bay leaves, crushed red pepper and allspice berries. Sautée for one minute, then add the broth. 2. Bring to a boil, scraping the bottom of the pan to incorporate any caramelized bits. Add the dry peas, reduce heat and simmer, with the lid on, stirring frequently, for about one hour or until the peas are soft. 3. Add the diced apples and stir. Simmer soup, with the lid off, for another 15 minutes or until the apple has softened but not disintegrated. Add the wine or apple cider and simmer another five minutes to mellow the flavor. Remove the bay leaves and allspice berries before serving. If you are preparing the soup ahead of time, wait until reheating to add the apples.